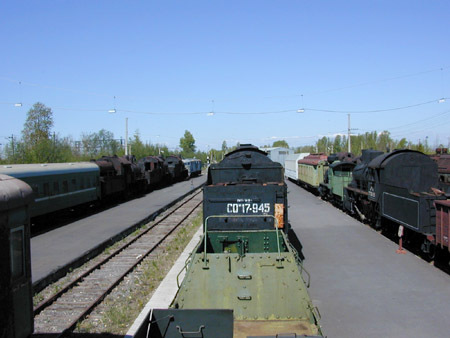 There is platform "16th kilometer" (several stops away from Vitebsky station) near railway station Shushary, where railway museum resided quite recently,- but then moved to Varshavsky station. This museum, Shushary, is where we are going today. 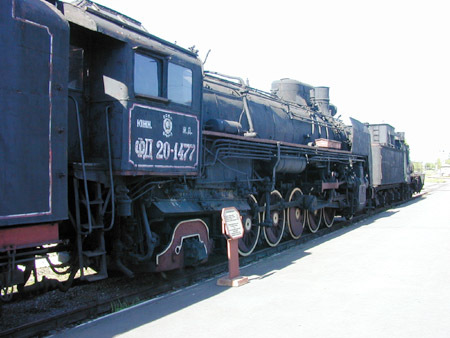 Steam-engine museum - " Museum of actual dimension technics in the name of V.V. Chubarov" exists since 1991 and it contains more than 180 exhibits. 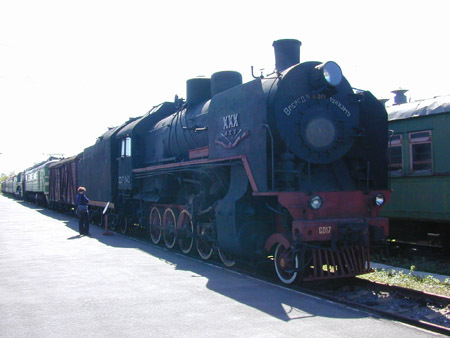 Chubarov was the head of October railway (first director and curator of the museum). 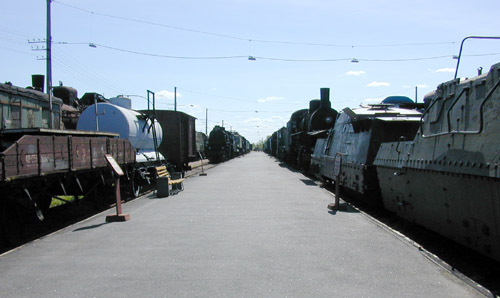 There is a steam-engine P36-0027 in the right. There is no information in relation to this wonder.. 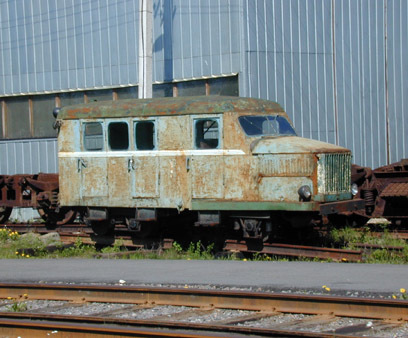 Though it might be called rail bus.. 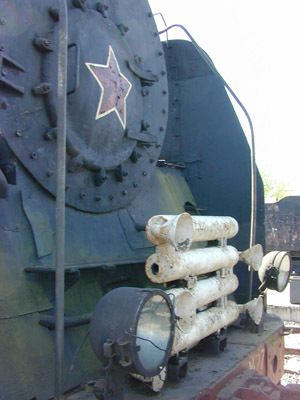 Built by Voroshilovgradsky factory in the name of October revolution in 1937. 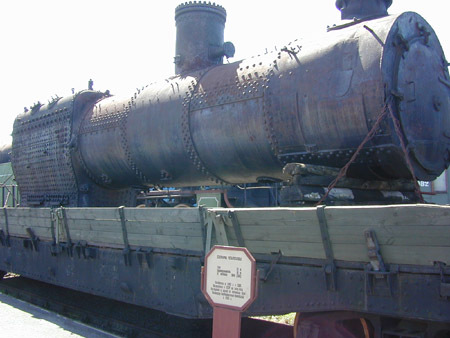 The most powerful soviet cargo steam-engine of the batch production". As you have probably already understood I've taken information about majority of exhibits from the tablets. If there is no a tablet or I did not take a picture of it, therefore there is no information..
Lamp from one of the steam-engines. 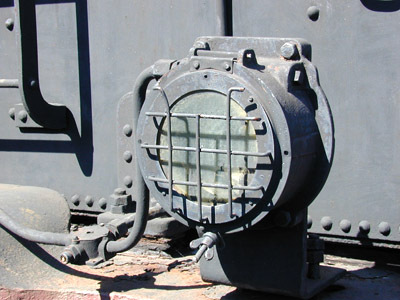 It might be arc lamp according to thick cables. Though it may be quite a gas-lamp. Sun was shining from the wrong side, consequently many pictures are not perfect at all. 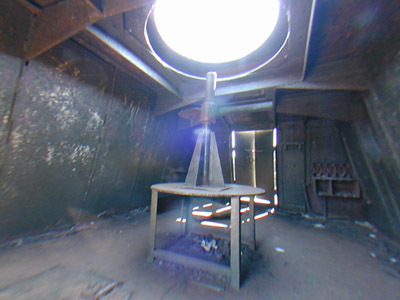 Unfortunately swinging steam-engines 180 degrees around is quite hard.. 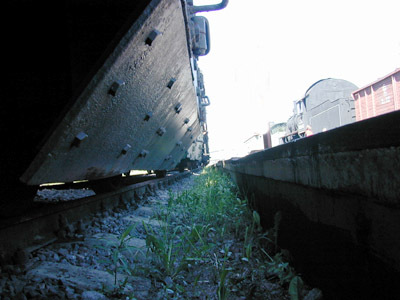 Constructed on the base of biaxial bay built by Kharkov factory in 1935. 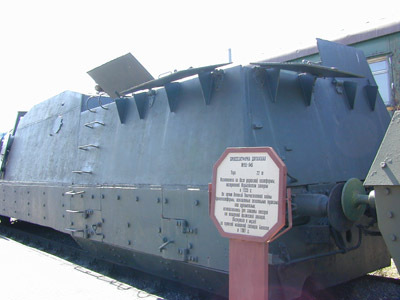 During Great Patriotic war armored bays equipped with antiaircraft guns and machine guns were used for protection of the trains from enemy airforce attacks. 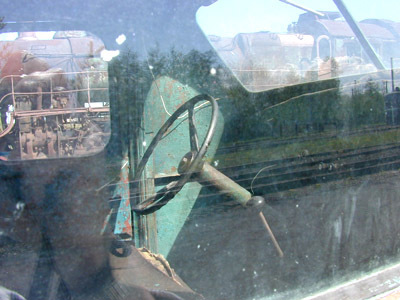 Arrived to museum from the track machine station Bologoye in 1987". View from inside of the armored bay..
..from under the armored bay.. This exhibit is called "tetraaxial bay". 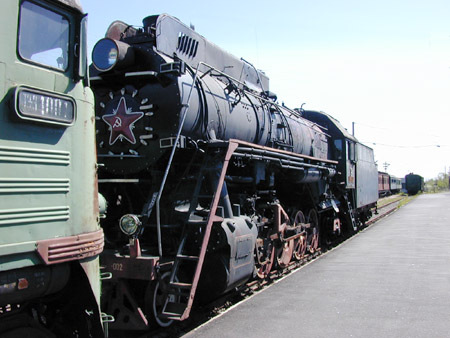 Though on my opinion the thing on it is much more interesting than the bay itself..
Steam-engines in USSR were exploited till 1950s, then they were replaced by diesel locomotives and electric locomotives. 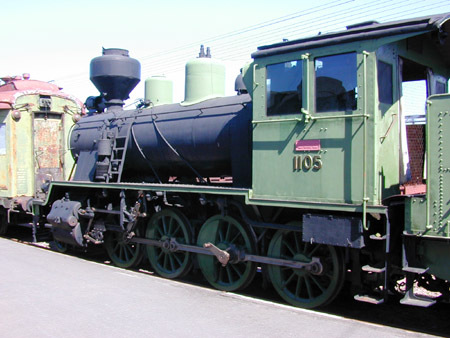 However in my early childhood (1970s) I personally saw a steam-engine under steam at some station in the suburbs. Maximum power on the wheel rim is 3077 horsepower. 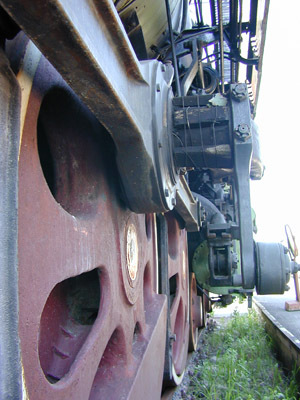 Built by Kolomensky steam-engine factory in the name of V.V. Kuibyshev in 1956. 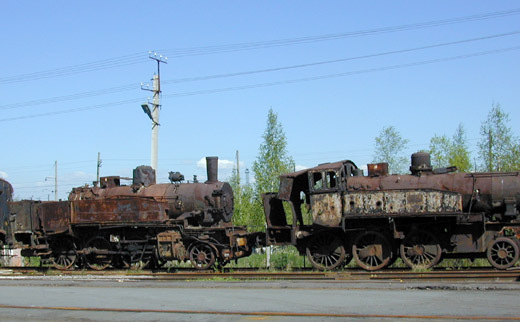 The last passenger steam-engine built in Russia. 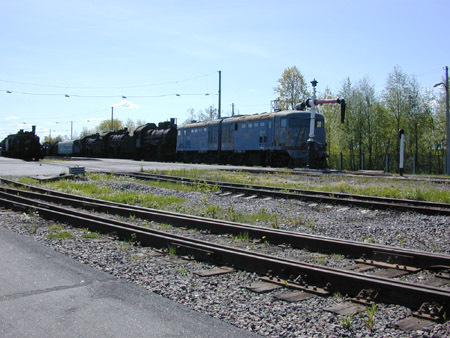 It worked at Kuibyshevskaya, Northern, Fareast railways. 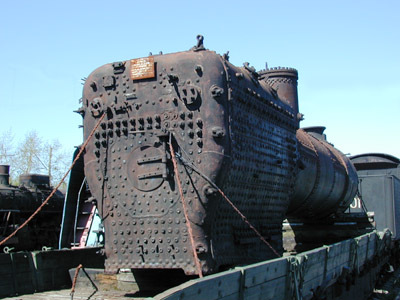 It was used as a boiler at "Dalvodremmash" factory in Ussuriysk since 1982. 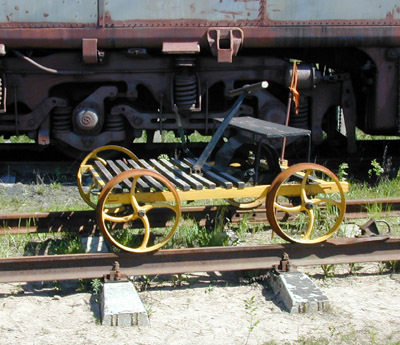 Arrived to museum in 1992". 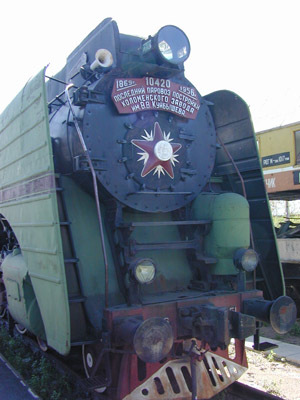 In the next album we'll continue getting to know exhibits of the engine museum.